Observation - Common Toadflax - UK and Ireland. 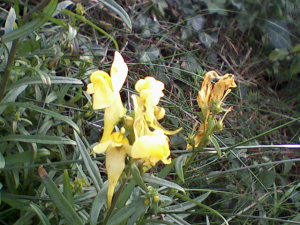 Description: These were the last surviving flowers amongst several sizeable toadflax plants found in the hedgerow. These were the last surviving flowers amongst several sizeable toadflax plants found in the hedgerow.